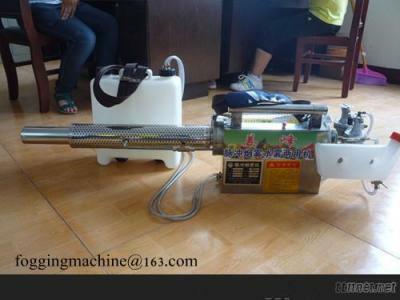 Portable hot fogging machine for agriculture is a powerful tool for pest control and epidemic prevention, it can do the disinfection and sterilization in any enviroment of infoors and outdoors, like city virescence, animal, house, garden, warehouse, vehicle, forest, hospital and military, etc. Portable design: the particular shoulder belt which will help you to carry it easily and expediently. High efficiency: the dense fog can keep in air long time for more efficience. Far spraying range: Can reach very high and far place.